Congratulations on the birth of your Deaf child! As a new parent, you have the hardest and most rewarding job of all: raising the next generation of humankind. You probably have many questions about things you’d never considered before you came face to face with your child. We believe that Deaf children are meant to be Deaf in all the ways they want to be, not just a few ways that are chosen for them to the exclusion of others. We know that more can lead to more, and as Deaf children grow into the adults they are meant to be, they are perfectly able to take on as many of the offerings that they are given by families, friends, educators, researchers, professionals, and supporters. At Communication Service for the Deaf (CSD), we are made up of Deaf people from many different walks of life, and have taken on all these different offerings. We are parents of both Deaf and hearing children, and are children of both Deaf and hearing parents. We come from oral, mainstreamed, and residential schools. We use cochlear implants, hearing aids, or neither. We communicate using both English and American Sign Language, and other international sign languages. We represent a diverse range of genders, race, and cultures. This spectrum of Deaf experiences is a hallmark of our organization. And we all agree on one thing: being Deaf is an integral part of who we are. We envision a world that sees Deaf people as an important and integral part of it, too. In a world where it is good to be Deaf, our children are not made to feel like they are “less than.” In a world where it is good to be Deaf, there is no need to “fix” one’s value on their ability to speak or hear. In a world where it is good to be Deaf, we can ensure access to language from the very start and choose what’s best for each child. At CSD we believe very strongly that regardless of what choices you make for your child, being Deaf is something to be embraced, and that you don’t need any one particular technology or method over all others to be okay. You can have it all. When parents of successful Deaf adults share stories with one another, we are reminded that there is no one correct way to raise a Deaf child. There is, however, one throughline. Regardless of the path you take, the one crucial factor that impacts your child’s future success is the age at which they gain access to and begin to acquire language. We know, because so many of us relate to Alba Lopez in her journey to becoming who she was Meant to Be, in our third vision film. CSD offers many shared visions for the world, and they are meant to inspire, spark meaningful conversation, and represent the beauty that our diversity and differences bring to the world. We hope that you, too, want to build a world where your child can feel that being Deaf is good, and can get past that question and focus on what matters most: who they want to become when they grow up. Professionals, researchers, and educators share different views on best practices in raising Deaf children, and it can become overwhelmingly confusing and difficult to know what the facts are. We want to make it easier for you to understand the research out there so you can best support your child’s growth. Your child is lucky to have you as a parent, and with your support and encouragement, your child will thrive. 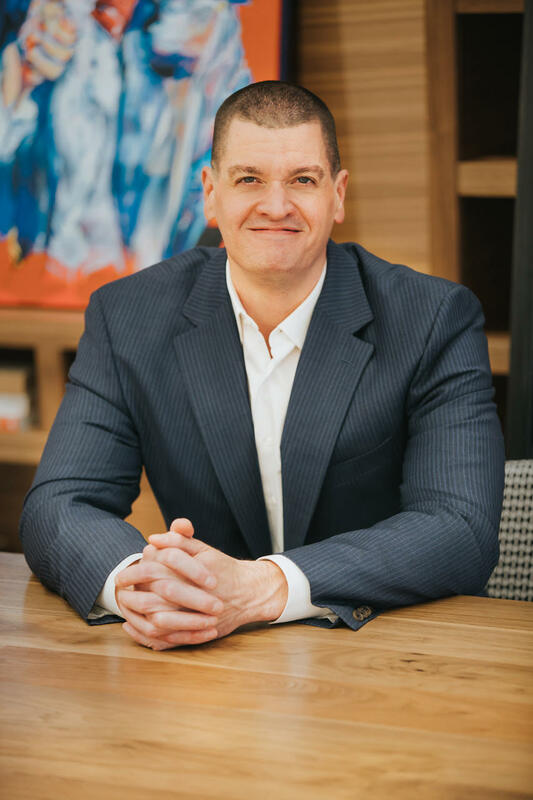 CSD’s visionary chief executive officer Christopher B. Soukup has successfully modernized a 40-year agency by enacting virtualization of all its operations. He has brought in some of the best Deaf talent from around the world, reinvesting in technologies grounded in universal design principles to leverage Deaf people’s lives towards sustainability. He first came to CSD as a community-based employee during the 1990s, and then earned a bachelor’s degree in business administration from Gallaudet University. He returned to work at CSD in various capacities, including as the senior vice president of CSD’s contact centers and then CSD Business. Shortly after, he became president for three years before being appointed CEO of the $40 million agency. Bringing this experience along with his firsthand knowledge and experiences in the Deaf community, Soukup’s goal is to redirect modern-day conversations that focus on prevailing misconceptions and attitudes about people with disabilities into a focus on business initiatives, reframing paradigms, and ensuring Deaf people are the decision-makers of their own lives. Soukup, who is Deaf, often presents at domestic and international conferences, community-based public forums, panels, and other public venues. He also has served on numerous boards and committees, such as the Federal Communication Commission’s Consumer Advisory Committee. Currently, he is part of the U.S. Business Leadership Network Disability Equality Index advisory committee and the National Technical Institute for the Deaf Development Foundation Board, among others. Soukup, who makes his home in the Austin, TX area, has a young son who is deaf and autistic. Do You Feel Lost When a Loved One Is Trying to Communicate with You?